Some of you may remember, the television shows of the 80’s where TV series/serials, used to start with, ‘Previously on xyx.’I felt a bit nostalgic today, so I will start the same way. Previously on my blog, I have written about Social Media (SM) in various contexts. I wrote about the effect of SM on a friend’s daughter – The ugly side of social media, the conundrum facing CIOs – The Social Networking dilemma and the CIO, a quick primer on SM – Social Media Primer – Succeed by using LinkedIn and blogs, Toyota and its failure to use SM – How Toyota became the werewolf and the three step process to embrace SM: Organisations “Don’t get” social media (UPDATED, RECOMMENDED READING FOR THIS POST, with ALL NEW SM monitoring tools for both personal and business use). It is becoming evident though that some organisations have become adept at SM, as witnessed by Ford’s recent Ford Explorer, campaign. “We couldn’t think of launching a vehicle today without launching it early using social media,”Jim Farley, Ford’s Vice President for Global Marketing – Courtesy of Social Media Explorer. Senior management need to understand the business and how IT can be utilised to provide competitive advantage – Leveraging IT for Competitive Advantage – Myth or Reality? The problem these days is that many CEOs start working at new employer’s without taking the time and effort to understand and appreciate the business and its culture. Without understanding fully, their business, there is no way for them to realise the potential within their existing or future procured IT systems. In addition, many businesses still have their IT chief’s reporting to CFOs. Without board level representation, IT cannot deliver any benefits to the bottom line. Within that context, Terry Leahy fully understood the impact of IT and allowed his CIO, Philip Clarke to analyse and innovate. In effect, Philip Clarke, successfully created, ‘Philip Clarke, the brand.’ Can anyone create a successful brand, using the Internet and Social Media? The answer has to be a resounding ‘Yes’. I will now outline the steps. The secret to leveraging the success of SM is to integrate, disseminate and monitor SM (automate as much of this as possible, especially if you are building your personal brand – due to time constraints). Integration: If you are thinking of setting up a new business or personal brand, Google Apps could be the ideal platform for you. I covered this previously, Google Apps – The myth, hype and reality. Google Apps Premiere edition was recently named as Google Apps for Business and now incorporates all the FREE apps that used to be available to personal Google/GMAIL account holders, such as my favourites, Google URL shortener and Alerts. Regardless, of whether you are a small business or corporate, the website needs to provide analytics to ascertain demographic analysis, page views, referrals (Which sites are referring your site) and statistics and words used for searches conducted, using tools such as Google Analytics. The website also needs a blog feature (Or if you are building your personal brand, enable a personal blog using WordPress/Blogger (Free)). The blog needs to auto connect with SM to deliver posts (Such as, Twitter, Facebook, Yahoo, MSN and YouTube) automatically. 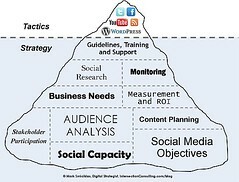 Monitor: Once SM has been integrated and dissemination profiles/channels are completed start monitor ing‘key people and blogs and setup appropriate RSS feeds’ for content/people that your business needs ‘to follow’ in order to keep abreast of trends in your field. Monitoring also needs to be setup for adverse comments, as the case with Toyota (See above) highlights. As SmartPhones are prevalent now, appropriate phone apps need to be setup to provide the ability to monitor, regardless of location. Today’s article is the sixth in a series of articles (1st Steve Jobs, 2nd Michael Dell, 3rd Warren Buffet, 4th Bill Gates, 5th Larry Ellison), analysing current and past leaders to ascertain how Chief Information Officer’s (CIOs) can learn better management by applying the management practices of leadership, practiced by these leaders. Eric Schmidt arrived at Google to help Google’s inexperienced founders; Sergey Brin and Larry Page. He has led Google to become a globally recognised company with approx 24000 employees. 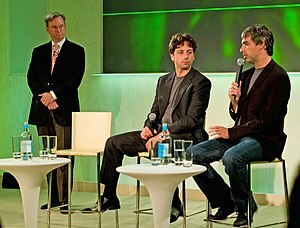 Recently, he has stepped down to become the chairman and to pass the leadership to Larry Page (on 4th April 2011). Over the years, he has mentored the young founders and believes that the time is now right for them to take the helm. For his efforts, he leaves with a golden shake of $100 million in equity and shares worth 9.1% of Google stock. PS: CIO is a generic term and other analogous titles are Head of IT, IT Director, Director of IT etc. 2. When the going gets tough, investment in people always pays: ES – “Getting the most out of knowledge workers will be the key to business success for the next quarter century. Here’s how we do it at Google. At Google, we think business guru Peter Drucker well understood how to manage the new breed of “knowledge workers.” After all, Drucker invented the term in 1959. He says knowledge workers believe they are paid to be effective, not to work 9 to 5, and that smart businesses will “strip away everything that gets in their knowledge workers’ way.” Those that succeed will attract the best performers, securing “the single biggest factor for competitive advantage in the next 25 years. For more, read – Google’s ten golden rules for getting the most out of knowledge workers. One person alone cannot handle everything. The secret is to surround yourself with employees that are smarter than yourself. These smart people will challenge organisations and force them to think differently. I covered this, under mobility of management when I covered; can IT Management failure be caused by a deadly disease? Part II. CIOs need to understand the importance of retaining and investing in people as one of the business’s most important assets is yet again confirmed by another business leader. Sometimes it’s best to follow your instincts and to believe in yourself to do the right thing. Paralysis by analysis is often the cause that many organisations cannot do well. It’s as Nike says, Just do it! 4. Rating of employees’ performance: – In the past, I have reviewed many CEO’s management style but Eric Schmidt’s style is the closest fit to Deming’s ‘Annual rate of performance’ that I have yet come across. “Eric management style is to let the team’s progress be reviewed by individuals the team respects. In most companies there exist a few individuals that are universally respected or at least more respected than everyone else. 6. Competitive advantage: – This is an area of great interest, as currently, Google is the undisputed king of search but Microsoft’sa Bing is knocking on its doors. So, for the moment Google is able to keep its competitive advantage. The worry for Google has been the defection of key employees (who view Facebook as ‘cool and the place to be’) to companies such as Facebook. Social Media is an area where Google doesn’t really have a strong foothold and that is worrying for them while in the mobile arena, Android is not a huge money earner (albeit, earnings are approx $6 per user per year) when compared to Apple IOS. Google is in a battle with Apple, Microsoft and Facebook and it is ambiguous which markets Google ultimately wants to compete within. CIOs need to ask themselves how they can help the business through leveraging IT to create competitive advantage. I covered this in my post, Leveraging IT for Competitive Advantage – Myth or Reality? A CIO needs to trust their gut instinct, as one can only learn a certain amount in an interview. I think, the strategic fit, is a very good measure. How will a new hire fit into the culture of the company? Will they enjoy it here? Have they worked in a similar culture before? The danger is that the culture could be so alien to the new hire, that they find it difficult to adjust. The quote above is apt when you are up against a person but what happens when you encounter organisations that are trying to outdo each other? 2010 was certainly interesting in that respect. Hunter Richard’s blog post on Microsoft (MS) is “All In” for the Cloud, but What About Dynamics? outlined Microsoft’s dilemma that is not limited to just MS Dynamics. Microsoft is still trying its best to innovate as its key visionaries, such as Ray Ozzie (View Ray Ozzies’s – Dawn of a new day OR BBC’s summary) were falling by the wayside. At face value, it could be argued that MS is reinventing itself, as it has done so quite successfully in the past (WordPerfect vs. MS Word, Netscape vs. Explorer,……list continues), but this time around, there is a caveat. Is MS actually listening to its own visionaries and customers? MS knows that history is repeating itself once again as it has done so many times before and MS is trying its best to change and adapt, as it knows very well that if it doesn’t, it could wither away and die, just as it had slain Netscape and WordPerfect in the past. The secret to Apple’s and Google’s success is that they listen to us, the customer. They are finely attuned to what, we, the consumer want and need, just as my previous blog post Leveraging IT for competitive advantage, has alluded to. Secondly, this battle is not just about the hardware and software anymore, as all three companies go after our hard earned cash. Even Apple overtook MS, in terms of revenue this year. 1. Its products are now so diverse that only IT experts can make any sense of them. Need convincing. Ask any non IT personnel to visit any Microsoft site and ask them to explain a particular Microsoft site’s products and what they can actually do for them. 2. Sheer confusion. As a business owner, for my Microsoft IT system, where do I start? Microsoft Licensing and its payment model – Again, this is an open challenge to Microsoft. How many Microsoft employees can explain Microsoft licensing without referring to a price model manual? The correct answer should be at least half its workforce. Why? You cannot sell what you don’t understand (Microsoft have actually done remarkably well then!). Ah, would an employee be able to explain it all in a pub, though? So, where does that leave Google, Microsoft and Apple? They should all acknowledge their key strengths, concentrate and focus on those and licence each other’s products. That can be hard to acknowledge by ‘massive’ organisations such as these three but the reality is that sometimes other organisations just do it better than you can. I would argue that all of these companies need to innovate more. Apple and Google innovate, quite successfully. I would argue though that as innovation is stifled at MS, MS have not released a single innovative product in 201o. MS did finally catch up with Apple (iPhone) and Google (Android) with a WM7 marketplace though! We even saw new releases of old software, such as Windows Mobile 7 and for those who want to argue and labour the point, did anyone release anything groundbreaking as Apple’s iPhone equivalent in 2007 or the iPad this year? Oh and let’s not forget, Office365 still has no marketplace equivalent! Will Google Apps survive Office 365? Google Apps – The myth, hype and reality. Cloud based ERP. Fact or fiction? Search wars – Past, Present and future – Bing, Google or new entrant? Leveraging IT for Competitive Advantage – Myth or Reality? The future is bright but is it mobile? Today’s article is the fourth in a series of articles (1st – Steve Jobs, 2nd Michael Dell, and 3rd was written on Warren Buffet, analysing current and past leaders to ascertain how Chief Information Officer’s (CIOs) can learn better management by applying the management practices of leadership, practiced by these leaders. 1. Create and nurture ‘the correct culture.’ – ‘John Battelle co-founded Wired Magazine. He says Microsoft was the pioneer of the new-agey workplace, making work as comfortable, inspiring and fun as possible so workers would spend lots of time there. John Battelle: And as a matter of fact, at Wired we adopted that stuff. We had a chef and a masseuse, all sorts of services, because we wanted our employees to stick around. I believe Microsoft gets a lot of credit for that. 2. Develop a Clear Vision–and Stick to It. 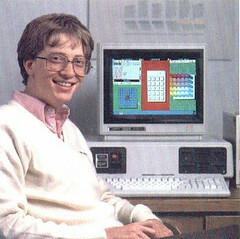 – From the beginning, he dreamed of developing Microsoft into a corporate giant. For CIOs this is one of the most important traits that MUST be part of the toolbox. CIOs need to clearly identify to themselves and communicate to the environment that they work in ‘the vision’ that they have set out to achieve. They then need to have the confidence to deliver that vision. 4. Relax and feel at home – According to Matt Richey, ‘Microsoft has a simple way of maximizing its employees’ productivity: It allows each individual’s office to be as individualized as one desires. 5. ‘Image’ is everything. – Gates has successfully changed his image over the years from a geek to corporate leader and philanthropist. CIOs need to change their image from just being technology leader to leaders who understand business and can apply their strategic IT and business skills to the wider business. The question these companies have to ask themselves is that can employing ‘smarter’ employees stop the next Google , or Microsoft from raising its head? For those who have been following my blog, I mentioned this ‘war’ state in Google Apps – The myth, hype and reality , Weather bulletin – Google Cloud and icy Microsoft downpour & Search wars – Past, Present and future – Bing, Google or new entrant? Microsoft has proved that failure can lead to success and continues to innovate by investing in many technologies. Some will inevitably fail while others maybe huge successes. Many businesses lack of innovation is due to their fear of failures. 7. Be ‘shrewd’ and keep the team on its ‘toes.’ – Gate’s, is known for his sharp cross examination of employees who present new ideas, innovations etc. He analyses information quite quickly and gets to the bottom of the matter at a rapid pace. Employees have criticised this approach and associated quick, sharp, snappy analysis that at times is uncomfortable (in employee’s views). These qualities of Gate’s have enabled Microsoft to dominate personal computers (PCs). CIOs need to understand employee perspectives and ‘effectively quiz’ their teams on solutions being proposed. 9. ‘Stop’ the ‘mad bureaucracy’ – I have mentioned this before in a post (can’t think of which one though) and it gets reiterated again by Microsoft. As Matt said, ‘The plague of most big companies is bureaucracy and stupid rules. Thielen gives the example of an un-named high-tech company that sent a four-page memo to all of its employees on proper security badge procedure, including infinitesimal details on how and where to wear the badge. To that, Thielen states, “Does Microsoft manage to avoid this type of inane garbage? By and large, yes.” Unlike most companies, Microsoft actually assumes its employees are smart. Rules at Microsoft are few and far between, and the ones that exist tend to make sense. Having only a few important, logical rules means that employees actually remember and follow them. I recently received a blog post from Software Advice on – Why the Technology Matters – An Analysis of Consona’s Acquisition of Compiere. That blog post made me think about my recent posts over the last few months on Cloud Computing and Google Apps etc in May, June, my blog post last year on ERP and this year’s – Leveraging IT for Competitive Advantage – Myth or Reality? The ERP blog post covered the recent acquisitions that had happened within the competitive ERP arena and Leveraging IT for Competitive Advantage – Myth or Reality? attempted to address whether competitive advantage could be realised through effective use of IT. Now, as we all know from the blog post, Warren Buffet’s (World’s most successful investor) management style and CIOs, the technology business is not considered a viable investment by him as he admits that he doesn’t understand technology and considers technology too volatile. So, when Don Fornes wrote that he thought Consona had acquisitioned Compiere ‘because the Compiere product is built on a very modern technology stack and is designed to run in a cloud computing environment’ it made sense. * The infrastructure is shared. Multiple clients share a common technology platform and even a single application instance. * The services are accessed on demand in units that vary by service. Units can be, for example, user, capacity, transaction or any combination thereof. * Services are scalable. From the user’s point of view, services are flexible; there are no limits to growth. * The pricing model is by consumption. Instead of paying the fixed costs of a service sized to handle peak usage, you pay a variable cost per unit consumption (users, transactions, capacity, etc.) that is measured in time periods that can vary, such as hour or month. To conclude, this is exactly what I have been discussing in my blog posts over the last year or so. Don’s thoughts are increasingly reflective of the technology blogosphere as technology writers’ such as Don and I understand the repercussions of the effects of cloud computing on traditional client/server models and associated revenue streams, licensing etc. There are many facets that I have covered over the last year or so that lead companies to be in this vulnerable position where they have to resort to acquisitions to remain contenders within their marketplace. My blog posts mentioned earlier have considered these, so apart from the above posts, I will leave you with some other posts that should help companies and their management become successful. I listened, you spoke but did we communicate? 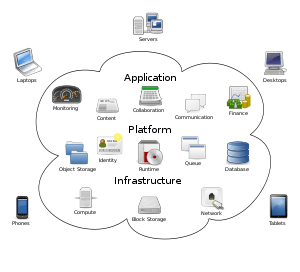 Last year (2010), I discussed Cloud Computing and whether Cloud Computing (or as referred to by a few readers – Internet Based and Grid Architecture/A managed or hosted service) was, well, ready for use as an IT system within the cloud. I still believe that Cloud Computing is definitely ready to be used by new start-ups as an IT system. Established businesses that have an investment in existing IT systems will have to manage this by considering an organisation’s requirements very carefully. Like any other project, any move to the cloud, has to be managed as a project. I mentioned this, in my post, What is Cloud Computing? Its Pros/Cons and making it work and Enterprise Resource Planning (ERP) – Past, Present, Future and successful implementation . An organisation’s management has a large role to play within this decision making process and involves excellent communication within the business. It also has to be recognised that IT could be leveraged for competitive advantage. Last year, I was approached by a business to advise on setting up a new IT system. I had a look at their requirements and decided that there was no need to invest in a traditional IT system based around an in-house data centre and associated hardware; i.e. servers etc. Further research showed that Google Apps could be used as their main IT system. The version, I chose was Google Apps for business ($50 per user per annum) and the link preceding this text compares the FREE version with the business version. Recently, (2011), Google has incorporated all the tools that were available for FREE, when users signed up for a regular Google/Gmail Account. This included my favourites, such as Alerts and Google URL shortener. For some reason though, Web History is not enabled on Google Apps, so if you want to use that feature, you will have to resort to your normal Google/Gmail account. There is a FREE version of Google Apps for Educational bodies and Charities (US based with 3000 + users get a 40% discount). Now, Google are not doing this out of the goodness of their heart as they are a commercial entity. It is a long term strategy. A quick question for all of you. Who leaves education to control future markets and organisations? Yep, its students, and if Google can get them to use Google Apps, it might just push them to stop using Microsoft. The stakes are high and Google are muscling in on Microsoft territory. As I said a few weeks ago, Microsoft’s problem is that their software solutions are predominantly premise(s) based, while Google started life within the cloud! Google Apps has been able to provide a solution that incorporates most of the IT requirements for a new business. These mainly consist of Google Docs (Word processing, spreadsheet, presentation and drawings package), Email (25GB of space per user), calendaring facility, Google Groups to create mailing lists and to share calendars, docs, sites, chat and Google Talk, videos (300MB per user) and the sites functionality. The tech team were quite impressed with Google sites (template driven system with new templates added daily) that allowed them to create numerous sites for use, both, within the business and externally. The feature that particularly impressed them was the ability to enable any internal site (For example, an Intranet site) to be accessible externally quite quickly by changing a few settings and the ability to map (point) the site to another website or domain. For example, the default for any Google site is: http://sites.google.com/a/yourdomain.com/nameof yoursite , and you could map your Google site to one of your sub domains (the prefix prior to http://www.yourcompany.com) so that it displays in the browser as, for example, http://www.widgets.yourcompany.com . Email security is good with the inclusion of the Postini service that protects against Junk (spam) email and provides virus filtering. This includes junk and virus filters for blocking unwanted email messages. The junk filters include an overall filter as well as specific category filters that let you or your users fine tune how aggressively the service filters specific types of junk email. By default, the overall junk filter is set to level 2 (out of 5 levels) and the virus filter is set to On. The chat feature that is available within email as an integrated window allows Google Talk gadget functionality and supports: chat, voice calls, off the record chats and chat history. In addition, the gadget recognises Google Video, YouTube, Picasa Web Album, and Flickr URLs and converts them into playable video or slideshow within the chat window! Multi-user chats and ‘Invisible’ status are also available only in the gadget. This is my personal favourite; the ease of setting up mobile working and mobiles is easy as it is an integrated part of the Google Apps service. Google marketplace is the equivalent of the stores such as SalesForce.com’s AppExchange and iPhone app store and is available for both the FREE version called Google Apps and the subscription based, Google Apps for Business. Once the Google Apps system was setup, it was time to visit the Google marketplace to find solutions for the business. Those of you that follow my blog would also know that I am a BIG mind mapping fan. This is something that the directors’ of the business really wanted. I took a look at the Google marketplace and found MindMeister ($9 per user per month), a software package that I had already reviewed and was quite impressed by. Imagine my surprise when I found it in the Google marketplace! The final piece of the puzzle that had me thinking hard about the solution was the relatively new incumbent within the ERP arena, MYERP vs the Salesforce platform and SalesForce.com’s AppExchange. After revisiting the requirements and the business budget, MYERP (First two users FREE followed by $29 per user per month) was an obvious choice for the short term. MYERP is an integrated suite with modules for CRM, Projects, Purchases, Accounting and Sales fully integrated with Google Apps. It is managed by an open source MySQL database with provision for API’s in the future to connect with other IT systems. Salesforce does, however, have some competent ERP solutions such as LessSoftware, Ascent and Glovia. As such, if in the future, Salesforce needs to be used for its CRM (Probably much better than MyERP’s CRM), ERP or development capabilities, Force.com could be utilised. A few problems were encountered but no real show stoppers and the Google support team’s response was quite good. These calls were intentionally logged as low priority calls due to their low impact on users (No loss of productivity). Users had a few issues with being presented by different login/logout screens at different parts of the day. Users did not enjoy Google Apps inconsistentcy. For example, the business setup login/logout screen was configured to use the business logo and colour for login/logout but Google Apps still resorted to the default Google Apps logo and colours. While Google were searching for a solution, the tech team wanted to enable Single Sign On (SSO) to enable Google marketplace apps and as such chose MyOneLogin ($3 per user per month – Service termination from Feb 2012) that resolved the problem and the team closed the call. There was a problem with enabling sub domain aliases and as such emails sent to joe.blogs@widgets.yourcompany.com were not being delivered and this took a while to resolve for various reasons, some beyond Google’s control. For organisations and users accustomed to Microsoft (MS) Word, Google Docs may not be suitable. Certainly, I advised this business to purchase the MS Office Suite for its users to not only create a buy in for Google Apps but also to supply the users with a suite that they are very much accustomed to while Google Apps, plays catch-up. Google Apps has some interesting features, for example, the ability to share a document and the ability to edit it in almost real time (useful for meetings – exchanging ideas with your colleagues during the meeting), interesting form functionality and its gadgets features. The problem is that some functionality, that we take for granted within MS Word is simply quite cumbersome in Google Docs. For example, Print screen is used by everyone but to make it work in Google Docs, you would have to save the image in paint and then insert it as a .jpg etc. I. Reduce the size of the document. II. Do not count towards the 1GB storage limit. III. Allows Save as (If word processed doc) as HTML, Open Doc, PDF, Rich Text (RTF), Plain Text or Microsoft Word. IV. Allow Sharing/Email as attachment as HTML, Open Doc, PDF, Rich Text (RTF), Plain Text or Microsoft Word. V. The Google Sites storage system allows 10 GB plus 500 KB per user for shared storage. The problem above brings me to my next workaround (or solution). From the Google marketplace, the team told me that they chose the Epicenter Document Management solution (1st user FREE , $9 per user per month) that allows 50GB of pooled storage. This created an accessible repository with role based permission policies, version control, online editing, document approvals, sharing features, text searching, detailed event logging and access auditing coupled with a single drag and drop feature for stored documents within Epicenter and Google Docs. So, in summary, Google Apps and its marketplace constitute a competent suite of products for cloud computing (managed service/hosted solution). Salesforce is already tightly integrated with Google Apps and the Google marketplace (released 29th March 2010), is gathering momentum with innovative companies joining the Google realm. The next few years will decide the future of cloud computing and whether it will be accepted by larger and more established businesses. Google has firmly stuck a stake in the ground and is clearly betting on its cloud based solutions while attracting impressive solution providers through Salesforce and the Google marketplace. Microsoft, HP, IBM, Oracle, SAP and others are also positioning themselves for Cloud solutions. So, does every cloud have a silver lining? Do you really want to read more? Following my post on 19th May, Cloud based ERP is fast establishing itself as an increasingly dominant force within the ERP arena. Ubiquitous Internet connectivity combined with access to more bandwidth at affordable prices, both by businesses and consumers have propelled cloud based solutions as being commercially viable. Cloud based ERP solutions are also challenging existing licensing models. The larger providers such as SAP and Oracle are struggling to compete with this new model and are looking at ways to combat this new threat to their established revenue stream. Newer established entrants within the mid tier market continue to embrace cloud computing and are increasingly vying for competitive advantage. In my view, Google Apps will increasingly challenge established players providing enterprise systems, such as Microsoft. The likes of Google Apps will also challenge established ERP players as more offerings become available. For example, Netsuite will soon be available on Google Apps and My ERP seems like a credible solution for smaller businesses and is FREE for the first two users! One of my readers, Houston Neal, recently had a roundtable discussion on the state of the manufacturing ERP software industry, including solutions popular among small and medium enterprises that provides an interesting insight into many facets of ERP software. In Part I, Cliff Saran wrote, ‘The idea behind enterprise resource planning (ERP) is to provide the business with a single product that provides software to support the main business functions in a company. The major products such as SAP and Oracle claim to encompass the best ways to run business processes. But since they cater for large complex businesses, such systems are often too sophisticated for smaller organisations that may not have the same requirements in terms of scale and complexity of business operations. SAP and Oracle may be great for providing enterprises with industry-standard business processes, but standardisation erodes the unique selling point in smaller businesses. George Lawrie, principal analyst at Forrester Research says, “SMEs are worried by the high maintenance fees and complex implementations associated with major ERP software.”This is why a market has grown for ERP aimed at SMEs. “Mid-market ERP tends to offer vertical specialisation,” says Lawrie. Suppliers such as Salesforce.com have made it possible to put customer relationship management (CRM) systems in the cloud, but core enterprise resource planning (ERP) has so far remained untouched. If IT departments can make considerable savings switching from in-house systems to cloud-based software-as-a-service (SaaS), why stop at CRM? Businesses should consider using the cloud for ERP. It makes sense for an IT director, but the major ERP suppliers have been reluctant to move to cloud computing. SAP has been touting its Business ByDesign SaaS suite for smaller companies. Meanwhile, Oracle offers its middleware and database products on Amazon Elastic Compute Cloud (Amazon EC2), but does not recommend putting E-Business Suite ERP software in the cloud. In fact, it is far from clear how the major ERP suppliers will charge for cloud-based ERP. The significant ongoing revenue they receive from annual software maintenance from on-premise applications makes it harder for established ERP companies to offer considerably cheaper software licensed on a monthly subscription basis. However, smaller software companies are making cloud ERP float. Cloud computing company NetSuite has unveiled workflow management software, SuiteFlow, which enables users of cloud computing business suites to automate and streamline complex business processes. NetSuite says SuiteFlow allows businesses to customise workflows to support the way they need to work. Companies can use SuiteFlow to develop and deploy new business processes. NetSuite says it can be used to support processes such as contract renewal workflows with tasks, reminders and customer notifications, sales processes that include mandatory data entry, follow-up tasks and rep notifications, and customer support processes, including inactivity reminders, escalations and service level agreement (SLA) enforcement. Lawson Software, which has mainly focused on traditional ERP, has moved into the cloud by offering its core Enterprise Management Systems and Talent Management suite on Amazon EC2 infrastructure. The products will be included in the Lawson External Cloud Services offering, which is part of the company’s Cloud Services portfolio. Lawson’s cloud ERP service is targeted at mid-sized companies and organisations looking for a more affordable, flexible and agile deployment option for full-function enterprise software. “We are making it easier for our customers to license, use, keep current and even pay for Lawson full-function enterprise software. This should be great news for CFOs and CIOs who worry about lengthy and complex on-premise installations, the cost and inefficiency of their datacentres, the best way to allocate IT staff, and the complexity and difficulty of maintaining software versions and upgrades,” says Jeff Comport, senior vice-president of product management at Lawson Software. Similarly, open source ERP provider Compiere, which is used by companies such as Specsavers, has developed a version of its product that works on Amazon Web Services in the cloud. Some experts believe it is unlikely ERP will move wholesale into the cloud. The major ERP systems tend to be architected as large homogenous IT systems, which may not be such a good fit for delivery via the internet cloud. Licensing major ERP systems to deploy via the cloud is still immature. Instead, niche software companies are likely to build cloud-based services that do many of the functions of ERP. Cloud-based ERP could be the way forward for small- and mid-sized companies. Both Oracle and SAP offer products aimed at smaller businesses such as JD Edwards from Oracle and SAP Business ByDesign. These may have a better fit with certain organisations, But implementing on-premise traditional mid-market ERP systems will be the most likely approach businesses take until cloud computing has matured. Gartner sees an increasing availability of software-as-a-service (SaaS) ERP systems, and, unlike in large enterprises, where SaaS ERP use is limited, SaaS ERP is playing an increasingly important role in both back- and front-office applications for mid-market companies. Cost reductions in implementation and operation are one of the important drivers for SaaS ERP, and SaaS offerings avoid the need for upfront capital expenditures because they can be funded as an operational expense. However, when analysing the total cost of ownership of SaaS ERP over five years, Gartner finds that SaaS is not necessarily less expensive than on-premises ERP. NetSuite is the largest example for a SaaS-based ERP suite. It offers a broad range of application modules, including financials and accounting, purchasing, payroll, order management, inventory control, and employee management, as well as built-in integration with its CRM and e-commerce capabilities on the same platform. Gartner has spoken to customers that expressed a high level of satisfaction with NetSuite’s offerings. Other notable SaaS ERP players are Plex Online (previously Plexus Online) and Glovia. SAP has also announced an on-demand ERP solution called SAP Business ByDesign. Open source has been used extensively in infrastructure components, but it has a limited impact on ERP at this point. In the past two years, however, some new open-source software ERP suppliers have emerged with a focus on leveraging open source software to reduce the total cost of ownership of business applications, and to enable customisations that would be difficult to achieve without access to source code. Although we have doubts as to whether open source software business models actually confer these advantages on open source software ERP, these early stage offerings are nonetheless promising and should be evaluated. Examples for open source software ERP suites include Compiere and Openbravo. I looked at the quote above from my post a few weeks ago and was quite surprised as it quite aptly grasped my thoughts for this post (so I’ll leave it there for this week as well). Last year, I wrote a post, What is Cloud Computing? Its Pros/Cons and making it work. Before, I start, I want to clarify that the Microsoft platform (includes all its business software) is, in my eyes, legendary. The world would be completely different, if it wasn’t for Microsoft’s computing vision. I trained on Microsoft, (MS-DOS days) as Novell started to falter and Microsoft continued with its visionary flare. Keep reading and all will be revealed! Can I create an IT strategy, infrastructure and business systems for a small business on Google Apps? Is Microsoft future proofed with Web Apps? Can I create an IT strategy, infrastructure and business systems for a small business on Google Apps (Announced 9/3/10)? Fast ubiquitous accessibility 24/7, 365 days a year (Increasingly easily available Wifi and Internet connectivity). Enables quicker, cost effective IT start-up for new businesses. Not machine dependant (Requires only a browser). Accessible on entry level machines. Cost savings through lower machine, maintenance and software costs. Scalability can be provided very quickly. Less environmental impact through virtualisation of hardware/software and other areas. Entire Google Apps infrastructure built towards a vision of cloud computing. Access to the Premier edition that contains a comprehensive suite of apps. Access to a growing number of applications including ERP, Social media etc from the Apps store, many are free for 1-3 users . A flat fee licensing system (£33 per user per annum) vs Microsoft licensing that even Microsoft don’t understand! Collaborative features are enabled from the start allowing, for example, multiple users to edit documents simultaneously. In effect, Google have created the perfect platform for a small business. It provides the infrastructure and a starter IT system. Once Google Apps are combined with the available ERP and social media solution, the IT system is raring to go. Obviously, the larger an organisation and the larger the investment in Microsoft and/or other IT systems, the harder it will find to move into the cloud. As I said, in last year’s post, there are other considerations that need to be considered as well. Google, meanwhile continues to blow its trumpet for acquiring 2 million users and counts the USA city of Los Angeles move to Google as a major feather in its cap! 2. Is Microsoft future proofed with Web Apps? The answer (in my opinion) is NO. Why, for a number of reasons. According to CIO.com, ‘On the Microsoft Office side, price for the full suite range from $150 to $680 depending which of its many versions you are looking for. With Office 2010, Microsoft will be offering Office Web Apps, free but not fully-featured online versions of Word, Excel, PowerPoint and OneNote. There will be three versions of Web Apps: One for consumers supported by ads; a hosted version for businesses that pay for hosted accounts on Microsoft Online Services, which is powered by SharePoint; and a corporate in-house version for enterprises with volume licenses for Microsoft Office and a SharePoint server. Office 2010 will launch for businesses on May 12, but Office Web Apps are not scheduled to launch until mid-June. Microsoft also has BPOS (business productivity online suite) – now superceded by Office365, in its arsenal, a part of Microsoft Online services that includes online versions of SharePoint, Exchange, Office Communications Server and Live Meeting for $10 per user per month for all four apps. Its products are now so diverse that only IT experts can make any sense of them. Need convincing. Ask any non IT personnel to visit any Microsoft site and ask them to explain a particular Microsoft site’s products and what they can actually do for them. Microsoft Licensing and its payment model – Again, this is an open challenge to Microsoft. How many Microsoft employees can explain Microsoft licensing without referring to a price model manual? The correct answer should be at least half its workforce. Why? You cannot sell what you don’t understand (Microsoft have actually done remarkably well then!). Ah, would an employee be able to explain it all in a pub, though? Microsoft’s entire business model is built on desktop/laptop client installation and as long as it has enough businesses that utilise that legacy because they have no other option, for the short term, it faces no financial problem. In the long term though, I believe businesses will start to abandon ship. Afterall, Google and others will start to offer simple (in licensing terms, products’, versions, etc), cost effective, non business owned infrastructure. Look at what happened to WordPerfect, Novell and many others. Let’s continue with CIO.com, ‘Google itself concedes that any overnight success in the enterprise is unrealistic, yet remains fully committed to the enterprise, citing rapid growth in Google Apps’ short three-year life span. Where Microsoft is trying to migrate its products into a cloud environment, Google is fundamentally a cloud company, says Sheth, and has gone to great pains to build extremely large data centers designed specifically for nimble Web-based applications. So, Microsoft should be very worried. Microsoft should not get carried away with analyst reports that paint a rosy future but start to listen to customers, such as the city of LA. The paradigm is shifting and it’s shifting fast towards the cloud. After all, the other promise of the likes of Google is not just the simplicity of the entire model but the entire spectrum of cost savings! It’s the dawn of a new era, where even financial wizardry by Gordon Brown could not save him. Globally, change is happening. The question to ask though within IT is, ‘Who will win this war, Google or Microsoft?’ Or, is there room for a coalition? Will Office 2010 Shred Google Docs? Google Apps vs. Office Web Apps: Can Microsoft compete in the cloud? Design Your Business Model With Google Docs! Too busy to visit this blog? Opinion website by Mubbisher Ahmed is licensed under a Creative Commons Attribution 3.0 Unported License.